The drive to become a stronger partner and bolster services to customers in Mozambique fueled the decision by global mining equipment specialist, Epiroc, to relocate to larger premises in Maputo on 1 July 2018. 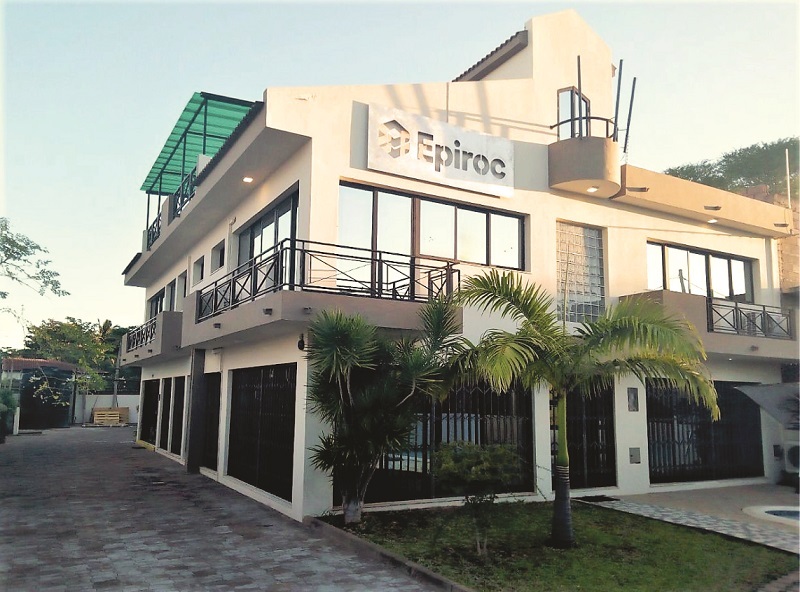 Epiroc made the bold decision to establish a foothold in Mozambique with the opening of an office in the country’s capital, in 2013. The key objective was to create a direct presence with higher competence to support local customers. Responsible for serving customers and end-users across a wide spectrum of markets and diverse applications, the Maputo office was becoming increasingly inadequate. Epiroc Mozambique, supported by a major hub in Moatize, Tete, as well as a site presence at Vale Moatize coal mine, delivers drilling equipment and consumables, hydraulic attachments and industrial compressed air solutions to the mining, cement & aggregate, drilling and blasting, exploration, oil & gas, geotechnical, industrial, and civil construction industries. “To ensure optimum performance over an extended life span, we support our products and equipment with a comprehensive and specialist aftermarket offering that comprises service, parts, training, and components remanufacturing,” states Martins. “With our dedicated ten-strong team, underpinned by support from Epiroc South Africa, the new facility now perfectly positions us to deliver the Epiroc brand promise and fully display our strenth in the effective delivery of our world-class products and services to customers and end-users across the region,” concludes Martins.